I sincerely believe that the user experience community should add game design to its toolbox of competencies. If we’re truly committed to creating satisfying user experiences, then there’s no reason why games, which can satisfy people so richly, should be excluded. Operating successfully in the games domain means learning a new set of competencies, and I don’t want to oversimplify the challenges of designing high-quality game experiences. However, if you’re in a position to jump in and start designing, then I can at least offer a primer to help you steer clear of some of the most common mistakes. Trading off the quality of the player experience in favor of some real-world objective is always self-defeating. This is the recurring problem with “gamified” designs, which too often just cynically tack points and leaderboards onto a product that is fundamentally gameless. First and foremost, a game needs to be enjoyed. Schwab MoneyWise’s It’s Your Life game has a noble mission: to convince people to save more money for retirement and other long-term objectives. 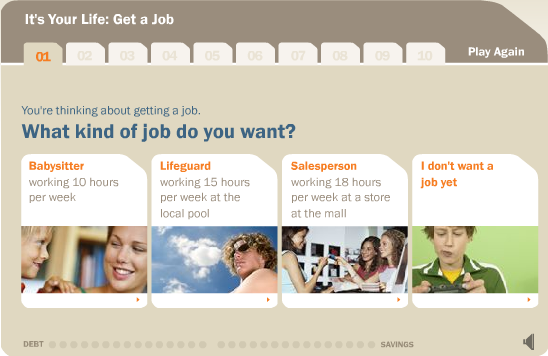 It’s Your Life presents players with a number of choices between spending and saving money over the course of a simulated lifetime. At the end, players get a letter grade on how well they did. At each step in Schwab’s It’s Your Life game, the choice that will lead to a winning outcome is pretty obvious. Die alone with a lot of money and no one to leave it to. I’m sure the designers reasoned that someone playing through the scenarios would elect to do meaningful things with their life, but they set up the scenarios so that doing nothing with one’s life while saving vigorously would be the surest way to win. Even though It’s Your Life is packaged as a game, the designers didn’t commit to it being experienced as a game. Games are highly dynamic experiences. The flow of events changes from moment to moment, and each decision a player makes can lead to a multiplicity of outcomes. Most games are also programmed with an element of randomness, so a player never has quite the same experience twice. Multiplayer games throw even more unpredictability into the mix. “Every game design is a hypothesis, and every instance of play is an experiment.” — Source. Be prepared to put your game under the microscope again and again, and to adapt the design to make it more enjoyable. With a large market catering to them, kids have the latitude to be very discerning consumers of games. Marketing campaigns pushing big-budget titles already crowd out one another, so you’ll find that just getting a young gamer’s attention is a tremendous challenge. You can’t assume that kids will want to play your game just because it’s a game. And these days, kids are the minority of people who play video games. 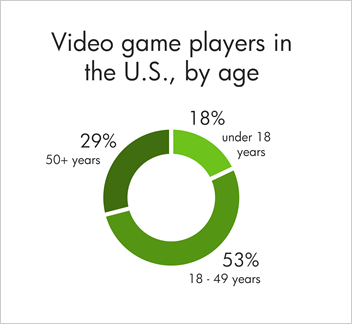 Eighty-two percent of gamers are over the age of 18, and 29% are 50 and older. Grown-ups are sometimes more receptive to playing games outside of the mainstream, and they have more disposable income to spend on games (i.e. if you plan to sell your game). Kids under 18 represent a small minority of game players. This is not to say that kids cannot make up a portion of your audience. But if your game is clearly intended for young children — as announced in breathless starbursts, reading “Hey, kids!” and “Super-cool!” — then you will turn off the larger segment of gamers. So, consider targeting your game to an older age group while keeping it accessible to a broad range of ages. Call of Duty: Modern Warfare 3 is an amazing action game. It also took years to make and a team comprising dozens of designers, artists and engineers at a cost of many millions of dollars. You’re probably not making Call of Duty. It’s very difficult to sustain adrenaline-pumping excitement for long. If you do choose to make an action-based game on a small scale, you’ll find that you’re limited to very simple and short-lived scenarios, such as racing a car, throwing a basketball or shooting a spaceship. Taken on their own, these types of experiences tend to grow tiresome quickly. You’ll find a lot of creative opportunity in games that make the player think through interesting choices instead of executing twitch responses. The card game Hearts, for example, is all about choices. Which three cards should I pass to my opponent? Should I play a high card or a low card? If I play clubs one more time, will someone else stick me with the queen of spades? Should I shoot for the moon, or will that prove self-destructive? Hearts creates excitement by presenting players with a lot of interesting choices. Each choice is evaluated from one trick to the next, depending on the changing conditions of your hand and on new information about what other players have done. Even though Hearts can be a fairly long game, it holds the players’ interest without any laser blasters or lava levels. How much time do players have to give to the game, and how much of that time will your players actually be willing to give? Will your players need to take a break from the game and continue it later? Where will your players be when they’re playing the game? What kind of hardware, software and Internet access will be available to your players? Unisys developed a series of online games for the company’s sales team to send to customers as holiday greetings. A customer would receive a link by email to an online holiday card with a personal message from the salesperson. The card would then open into the game, branded with Unisys’ logo. Unisys’ mini-golf game was designed to be a quick, nonintrusive diversion from the workday. Because the players were receiving these emails at work, the games couldn’t require a significant investment of time to reach the end, so all of them were designed to last less than five minutes. And because many players would be accessing the game while sitting in a cubicle, with their computer speakers probably turned off, the few sounds in the games were not made essential to the experience. 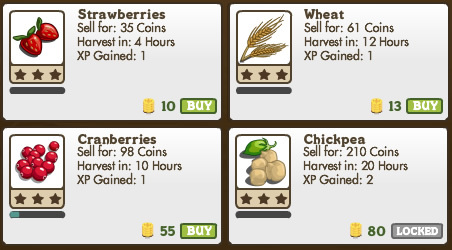 FarmVille cleverly makes itself adaptable to the player’s lifestyle. Players need to dedicate only a few minutes at a time, during which they can plant seeds for crops that take different amounts of real-world time to harvest. Raspberries take just two hours, so they’re useful when the player is able to check in several times a day. Eight-hour pumpkins fit in well just before and after a workday. Artichokes take four days to harvest — better for players who are able to check in only now and then. These staggered growth rates allow the time commitment to be made on the player’s own terms. The staggered harvest times for crops in FarmVille allow players to decide how much gameplay they can fit into their lives. Players have to invest their time, concentration and problem-solving abilities to the challenges that a game throws at them. There should be a point to these efforts, a payoff for their investment. When the game ends, players should come away feeling that the experience was meaningful. A great example is the card game Killer Bunnies, in which success is ultimately determined by a card picked randomly from the deck. The player who holds the match for that card (the “magic carrot”) is declared the winner. No player has any control over which card is picked; the selection is completely random. 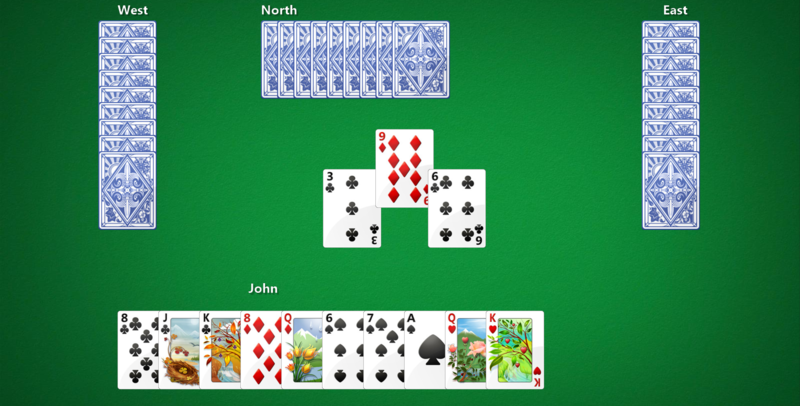 But the gameplay does give players some control over which matching cards they hold. Players exercise some control over the outcome of Killer Bunnies by acquiring carrot cards, increasing the probability that they’ll capture the randomly selected magic carrot. 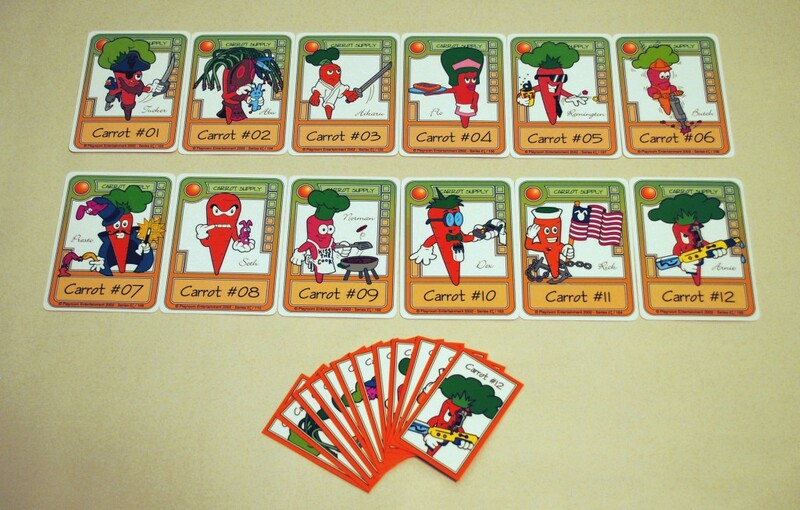 Players compete for carrot cards over the course of the game, and shrewd players will work to hold the greatest number of them before the game is over. The game says a lot about the players’ mastery of the strategy, tolerance for risk and skill at reading other people. Players come away from the game knowing that they had control over their chances of success, which makes the experience meaningful. Because video game rules are enforced inside the black box of the computer’s circuitry, there’s a temptation among designers to take shortcuts by letting the game cheat. Don’t give in to that temptation. Players will be able to tell when a game is cheating, and they will resent it. Suppose you’re designing a blackjack game that matches a player against a computerized dealer. As the designer, you need to write a script to control the dealer’s actions. You want the dealer to be a little hard to beat but not impossible. One easy way to create challenge would be to let the script choose which card from the deck is drawn next. You would then program the dealer to pick a card that either wins or loses, and put in a randomizing function so that two out of every three times it picks a winning card. This also creates an easy way to allow players to change the difficulty, so that on a harder setting the dealer will pick a winning card four out of every five times, while on an easier setting it will win just one out of every three. How would anyone even know you’re cheating? After playing the game a few times, you’ll see how. The dealer will do seemingly irrational things, such as hitting on 20 and magically drawing an ace. The deck will not seem random, because certain cards will tend to show up early and others will show up only after those preferred cards have been drawn. After several play-throughs, these patterns will become obvious. When players realize that a game is cheating, they’ll make the ultimate winning move by turning it off. The best way to convince people that a game is worth playing is by letting them jump in and try it out for themselves. Presenting written instructions at the beginning of every new game merely creates a barrier to entry at the very time when you want to be most accommodating of players. Instructions can also become a crutch, used to justify unconventional and unintuitive choices in the interface. The best place to teach people how to play a game is right there in the game itself. Tutorials have become one of the most familiar patterns in games. Ask yourself, “What’s the smallest amount of information the player needs to make the first move?” Then provide nothing more than that; you can get to the second move when the time comes. Playing is learning. If people are interested in the game, they’ll be motivated to fill in the blanks themselves by playing it. 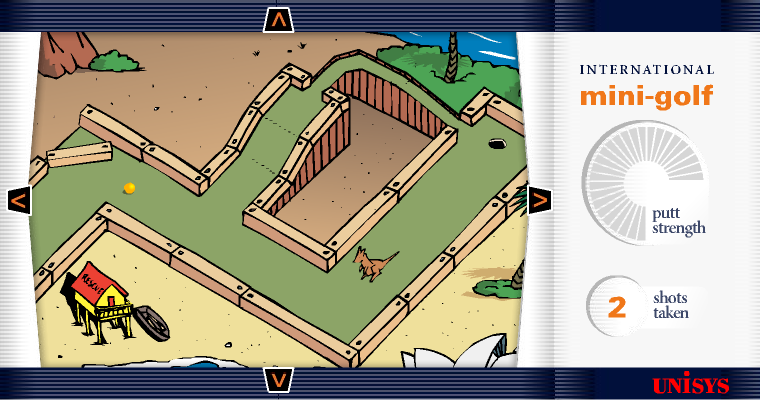 In Bri Lance’s game Kanyu, step-by-step instructions on how to play are cleverly incorporated into the game’s storyline. When the player loses, the reason they lost should be clear. If it’s not, then the player won’t be able to get better at the game by avoiding the same mistake in future. When the player wins, the reason they won should be clear. If not, then replicating the victory will be hard. Every effect should have a clear cause. When something happens, the player should be able to see why it happened. The object of the game should be clear. The player needs to know what they’re working toward. The player should always know what actions may be performed. At every moment, visible or aural cues should be provided to let the player know what they can do. Step back and think about the game as a discontinuous and iterative experience. When a player loses, cycling back into the game to try again should be instant and effortless. Even large commercial games with multimillion-dollar development budgets make the mistake of forcing a lengthy loading screen into that anxious period between a player’s loss and a second attempt. Stretching that space of time to the second, third or twentieth go-round inevitably tries the player’s patience. Games such as Braid and Prince of Persia: The Sands of Time take a clever route around this problem by allowing players to rewind time to a safe point before their losing moment. These 10 guidelines will help you get started, but plenty of challenges lie ahead as you set about designing and developing your game, and you’ll need to learn how to manage them as they come up. One last piece of advice is to play to your strengths. If you have a background in designing conventional user interfaces, by all means use the skills and techniques that you gained from it. Wireframing, user testing, rapid prototyping, storyboarding, flow diagramming and other core skills all translate well to game design and can help you pull through the inevitable rough patches. When a game design issue confounds you, trust your instincts and ask how you would handle a similar problem outside of the context of the game. More often than not, you’ll point yourself in the right direction.